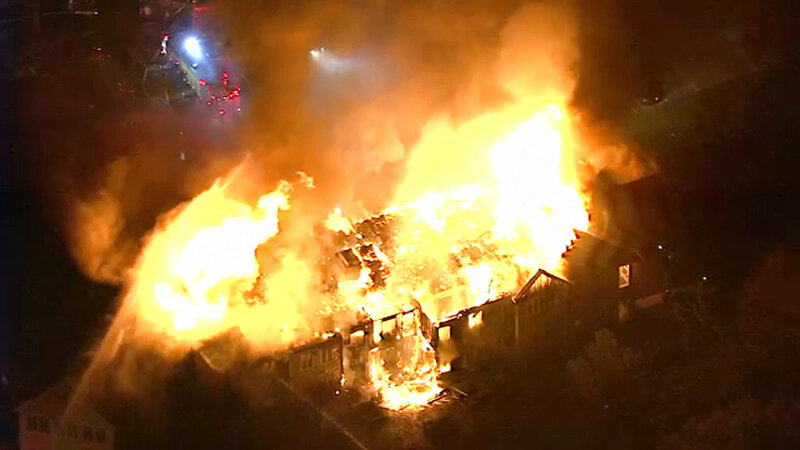 WEST CHESTER, Pa. (AP) — A massive fire at a senior living community in Pennsylvania injured at least 20 people and forced dozens more, many of whom were unable to walk, into the cold night air. Firefighters were still dousing hot spots Friday, even though the inferno was declared under control just before 1:30 a.m. The town’s fire chief would not comment on the extent of the injuries or if there were any deaths. He did say the blaze is under investigation. The fire quickly spread to multiple buildings and flames could be seen shooting from the roofs and windows of the structures. Residents were forced to evacuate outside into the cold, with temperatures overnight hovering in the low 40s. News helicopter video showed dozens of residents on the lawn or along the street, wrapped in blankets. Many of them had been pushed in wheelchairs or rolled on beds to safety. A spokeswoman for Main Line Health, a not-for-profit health system, said one of its hospitals also was prepared to provide shelter to some additional residents of the senior living community. According to its website, Barclay Friends offers various levels of care including memory care, skilled nursing and post-acute rehab.